Is There a Relationship Between OCD and Social Anxiety Disorder (SAD)? Is There a Relationship Between OCD and Social Anxiety Disorder/Phobia (SAD)? Many people experience anxiety at some point in their life as it relates to social situations. However, some individuals are so distressed about engaging in social situations that it interferes with their daily life. 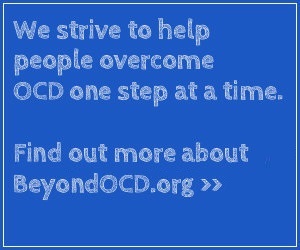 OCD and SAD are both anxiety disorders that can render someone disabled and require treatment. I am a therapist in the community and have worked with numerous people diagnosed with Social Anxiety, OCD, and Panic Disorder. I would like to impart some of my knowledge from my years working at the UCLA OCD Intensive Treatment Program and private practice. I describe SAD as (just shy of being identical) a twin of Obsessive Compulsive Disorder in the following ways: First, both involve unwanted fears/ thoughts; secondly, both involve physiological symptoms: heart pounding, heart racing, shortness of breath, lump in throat shakiness, feeling of unreality chills, flushing, tingling sensations sweating and more, and third, both involve some kind of compulsive behaviors. With SAD, it is mostly avoidant behavior and mental compulsions. Yes, avoidance is a compulsive behavior and identifying avoidant behaviors becomes the crux of graduated Exposure and Response Prevention therapy (ERP). Like many other mental health conditions, OCD and SAD likely arise from an interaction of the brain, life experience, and genetics. Essentially, SAD is a brain disorder that affects behavior. I use the Yale-Brown Obsessive Compulsive Check List and Scale as a means of teasing out OCD and SAD and for the purpose of determining the severity of symptoms. I have also found Managing Social Anxiety: A Cognitive-Behavioral Therapy Approach (Client Workbook by Debra A. Hope, Richard G. Heimberg, Harlan R. Juster, Cynthia L. Turk) to be useful for diagnosis and treating SAD. Prior to engaging in anxiety-provoking social situations/ERP, I have my patients determine why they are in treatment at this time. Why now? Motivation to participate in any kind of treatment is essential. I find it helpful when my patients have a specific yet realistic goal to achieve (job interview, date, meeting with the boss, ordering food in a crowded restaurant and so on). The benefits of getting better must outweigh the cost remaining ill.
Cognitive Behavioral Therapy (CBT) is the treatment of choice for SAD and OCD. CBT is the catch-all term for so many things and needs further elaboration. If cognitive therapy alone (talk therapy and cognitive restructuring) was sufficient, then no further treatment would be needed. Sadly, this is not the case and graduated ERP is a necessary component of treatment. I develop a hierarchy of feared social situations with my patients and then have the patient choose the least difficult exposure to start with. There must be some element of anxiety for the treatment to work. The process of ERP is very specific in that one does not jump from one exposure to the next without experiencing habituation within a treatment session and in between. Once the patient is able to engage in the feared behavior/social situation with some level of independence and decreased anxiety, then another exposure can be added on. Repeated exposures and practice are imperative. Essentially, one exposure builds on the other and ultimately the patient is less anxious and able to tolerate minor symptoms of anxiety without engaging in the compulsion. Keep in mind the goal is not to have the patient enjoy social interactions but be able to engage in social situations with less anxiety. Furthermore, my patients engage in role-playing as a means of increasing social skills. The goal is for the patient to remain in the feared situation until the anxiety decreases on its own, and that means no deep breathing or cognitive restructuring to decrease symptoms. This process is called “Habituation” and Brad Riemann, Ph.D., Director of the OCD Center at Rogers Memorial Hospital, wrote an excellent article describing this process. Having the anxiety drop is challenging at times, as there are so many distractions engaging in exposures outside the office. Once the anxiety is down, I will then engage the patient in the cognitive restructuring process. It is not done immediately before the exposure, as it potentially becomes a form of reassurance, which is a compulsion. Remember, “Fear is the problem and facing fear is the solution” (Paul Munford, Ph.D.). In terms of mental compulsions, I have come up with a term called “thunking” vs. thinking. Patients use the term in my practice to denote “analyzing fears and churning them in their mind”. This means they are giving undue attention to the obsession/fear via a compulsion; which in turn validates the need to be fearful. (Of note, I did not originate the so-called “word” “thinking” but applied it to treatment to help a patient distinguish an obsession from a mental compulsion). I use script-writing for ERP to address mental compulsions/thinking. I have the patient write out their worst-case scenario for a feared situation. I find script-writing to be a useful tool for two reasons: 1) the script will often times cause anxiety and the patient can habituate to the experience, and 2) the script can become a tool for helping patients focus their thoughts when they deal with unexpected exposures in the “real world”. I will never tell my patient that no one is thinking poorly of them as people might be and it is a form of reassurance. With that said, my patients learn that not everyone will like them but most people don’t take the time to dwell on their perceived flaws. I teach my patients that when anxiety increases (I use a 0-10 scale), the more believable the feared thoughts are. A 10/10 means that the worst case scenario/fear is believed as truth. An anxiety rating of a 3/10 typically means that a patient would have better insight and a decreased need to engage in compulsions. Furthermore, as anxiety increases so is the potential for the patient to be flooded by other unwanted fears/thoughts. Patients learn to focus on the original anxiety-causing thought and, once anxiety comes down from the feared thought, they can then tackle the next fear if there is a need. Keep in mind that, once the anxiety comes down, one might not feel so anxious by the additional thoughts and then can engage in cognitive restructuring and resist the urge to engage in a compulsion. This skill to focus on one fear is difficult and requires practice with the clinician in identifying when flooding is happening during the exposure. “Quality of Life Exposures” are a must! Patients also need to learn how to engage in pleasurable activities that are no longer routine. Exposure can also be done in the office. I enjoy using candy, as most people take pleasure in eating sweets. I make certain that they eat the candy slowly and learn to appreciate the taste. Some call this “mindfulness” and I call it learning to live life to the fullest. Let the patient be the guide in identifying such exposures. In summary, therapists must assist the patients in identifying their unwanted fears/thoughts and compulsive behaviors that maintain the underlying fear. A hierarchy of symptoms can be created and turned into ERP. The patients learn to face their fears and experience symptoms of anxiety until they have habituated. The patients must demonstrate habituation during and in-between sessions. In a calm state, the patient can engage in cognitive restructuring (If I didn’t have anxiety what might this situation be like?). It is imperative for patients to PRACTICE, PRACTICE, PRACTICE as without it they will most likely not get better and/or relapse. We must teach our patients how to learn to enjoy life again in a way that is meaningful to them. Shana Doronn, LCSW Psy.D is in private practice in Barrington, IL and specializes in the treatment of OCD and other anxiety disorders. She is a member of the Scientific Advisory Board of Beyond OCD. Dr. Shana can also be seen on the show “Obsessed,” and seasons 1 and 2 can be viewed on Netflix.